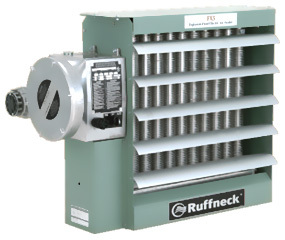 The Ruffneck FX5 Explosion-Proof Electric Air Unit Heater is designed for the harshest industrial environments and intended for dry indoor industrial applications such as oil refineries, petrochemical plants, pulp and paper mills, grain elevators, hazardous waste storage facilities, wastewater treatment plants. 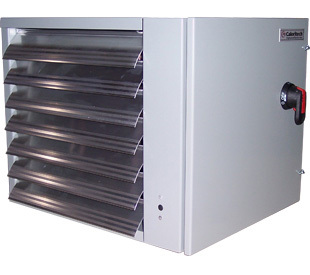 This heater is ideal anywhere that specific explosive gases or dusts may be present. 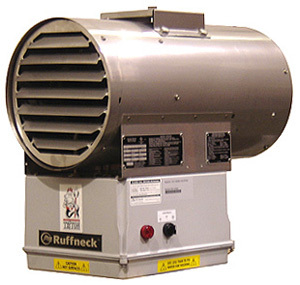 The Ruffneck RGX Heavy Duty Unit Heater is specifically engineered for heavy duty use in industrial environments, such as mine shafts, pulp and paper mills, hoist houses, welding shops, maintenance shops, sewage treatment plants, chemical plants and more. The heavy duty construction of this heater reduces the downtime and maintenance costs associated with standard design heaters. Ruffneck HP Heat Exchanger Unit Heaters are extra heavy duty (including heavy gauge steel construction) to meet the most demanding service and long life requirements for rugged industrial applications, such as space heating and liquid cooling. The HP Series heaters are suitable for a wide range of heating fluids including steam, hot water, glycol, and oil. Explosion-proof models suitable for hazardous locations are available on custom order. 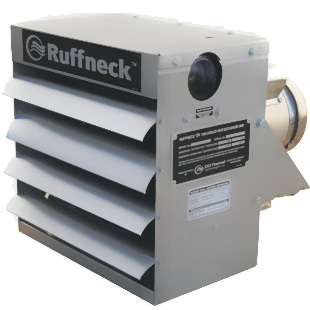 The Ruffneck CR1 Triton Unit Heater is a corrosion-resistant washdown heater designed for non-hazardous locations and applications using water pressure of less than 70 psi. 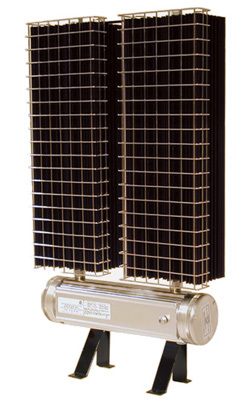 The Norseman XB Explosion-Proof Natural Convection Heater is designed for heating applications where explosive substances may be present, such as control cabinets and small enclosures, storage rooms for paints and cleaners, grain elevators, flour mills, spray booths, gas plants, pump houses, oil platforms, cleaning and dyeing plants, and marine/offshore areas. This safe and reliable heater offers a state of the art design, featuring CCI Thermal's unique copper-free aluminum extruded converter and patented x-Max® terminal housing.